Mariusz Bogacki is an independent researcher and photojournalist who just completed a postgraduate exchange at the Chinese University of Hong Kong, studying Social Anthropology. 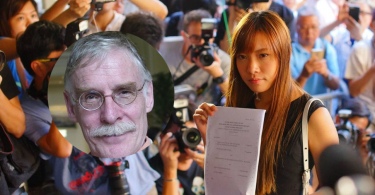 He has been conducting ethnographic and anthropological research at Tsim Sha Tsui’s Chungking Mansions, concentrating on cultural and ethnic diversity. Follow him on Instagram. The main entrance to Chungking Mansions, where smokers and money exchange offices greet guests. Photo: Mariusz Bogacki. 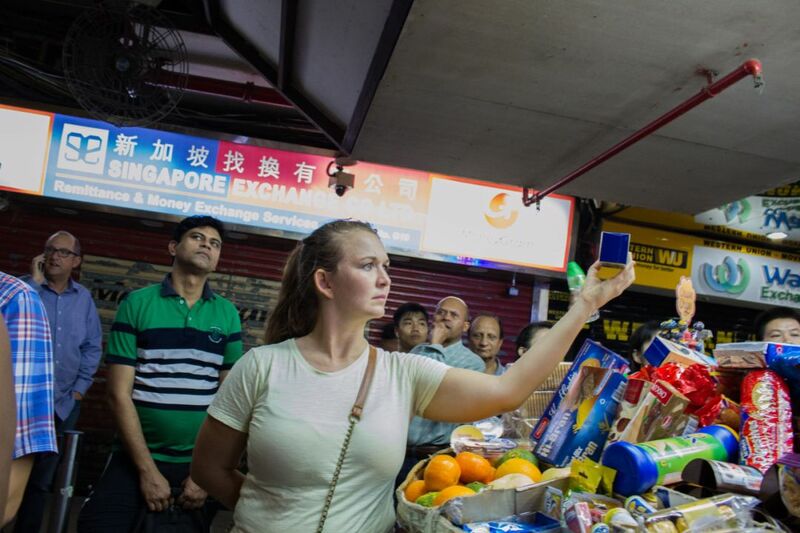 Over the last 30 years, Chungking Mansions has become a “centre of low-end globalisation” where traders from (mainly) developing countries come to buy wholesale goods produced in Hong Kong or south China. One of the mobile phone shops on the first floor of Chungking Mansions. Photo: Mariusz Bogacki. 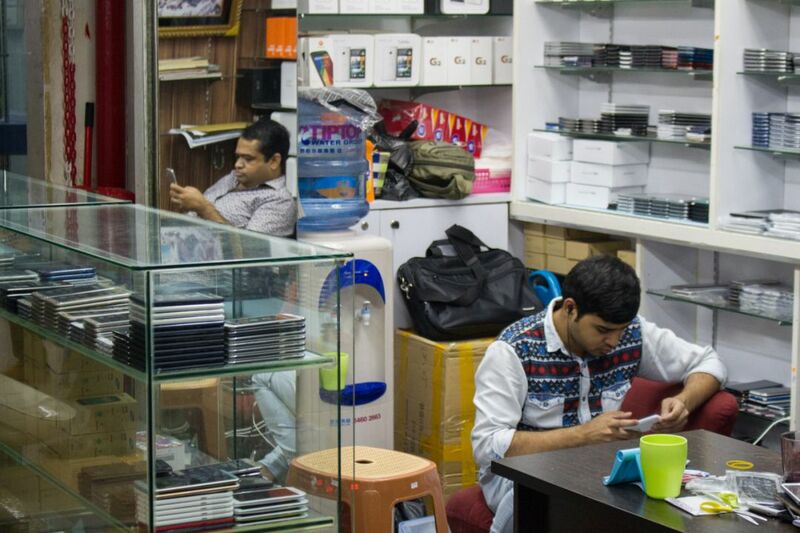 The mobile phone trade has dominated business in the building over the last decade. However the last few years have seen a decline in this commerce due to mobile phone factories moving to southern Chinese cities such as Guangzhou or Shenzhen, as well as the toughening of visa restrictions for people from south-Asian and African nations. A South Indian restaurant attracts a diverse clientele. Photo: Mariusz Bogacki. After the mobile phone “gold rush” of the 2000s, restaurants and guesthouses are becoming the main business enterprise of Chungking Mansions. Chungking Mansions is known for providing the cheapest accommodation in Hong Kong. Contrary to some outdated opinions, recent changes in the management and building have made the Mansions not only a safe place to visit but increasingly a must-do tourist attraction in Hong Kong. 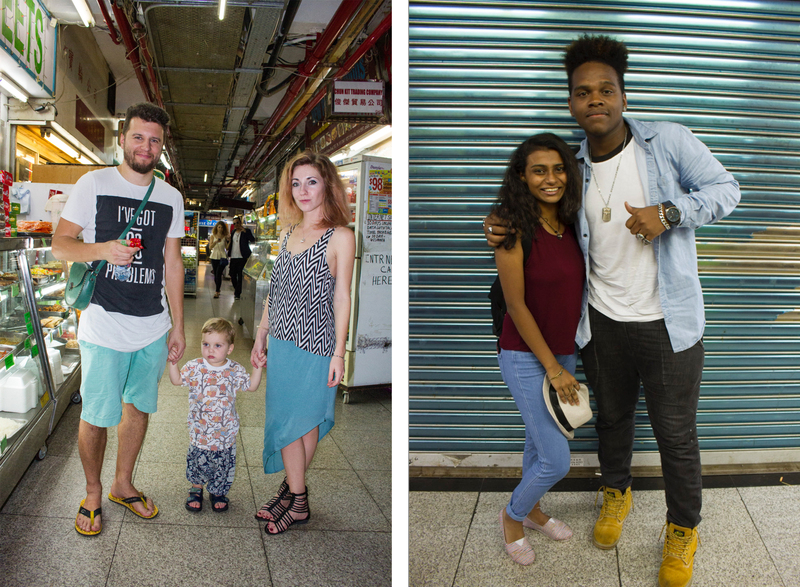 “It is a place in Hong Kong where we feel comfortable, meet people from our home countries or eat our favourite home cuisine” is often how ethnic minorities describe Chungking Mansions. People waiting for a lift to one of the five tower blocks of Chungking Mansions. Photo: Mariusz Bogacki. Built in the 1960s the building was intended as a luxury residential complex. Over the years, construction fraud and poor management resulted in apartments being turned into business hubs, restaurants and guesthouses. Today, according to some estimates, the building can host up to 8,000 people on a busy night. 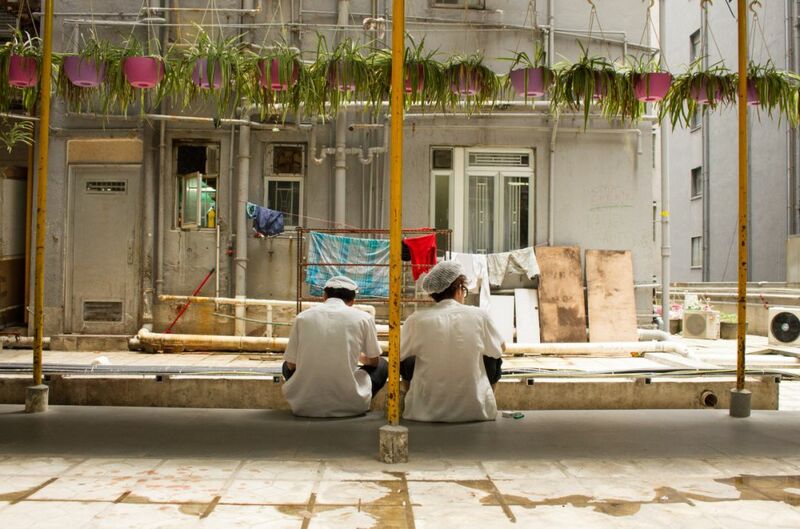 Hong Kong chefs have a cigarette break on the 3rd floor roof top. Photo: Mariusz Bogacki. 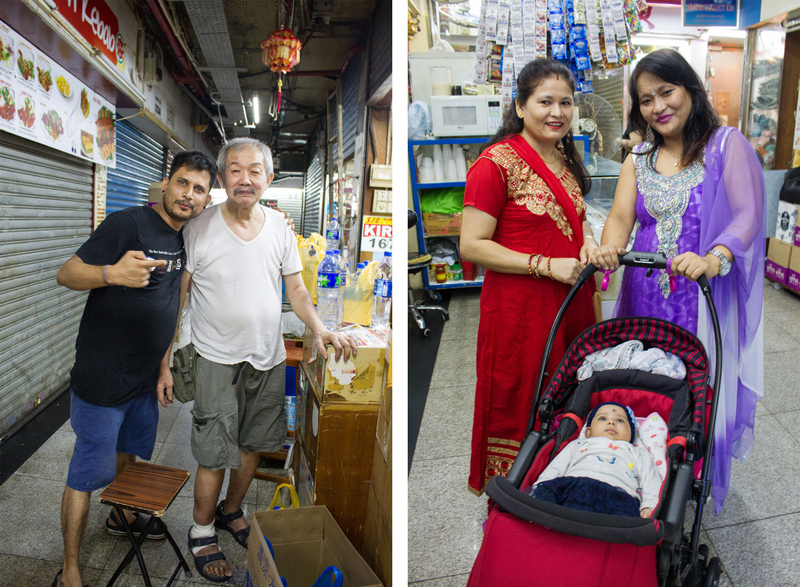 What people don’t often realise, or fail to acknowledge, is that the building provides employment and financial opportunities not only for Hong Kong’s minorities but also for local Hongkongers and increasingly for Chinese migrant workers. A refugee family from Egypt. Photo: Mariusz Bogacki. 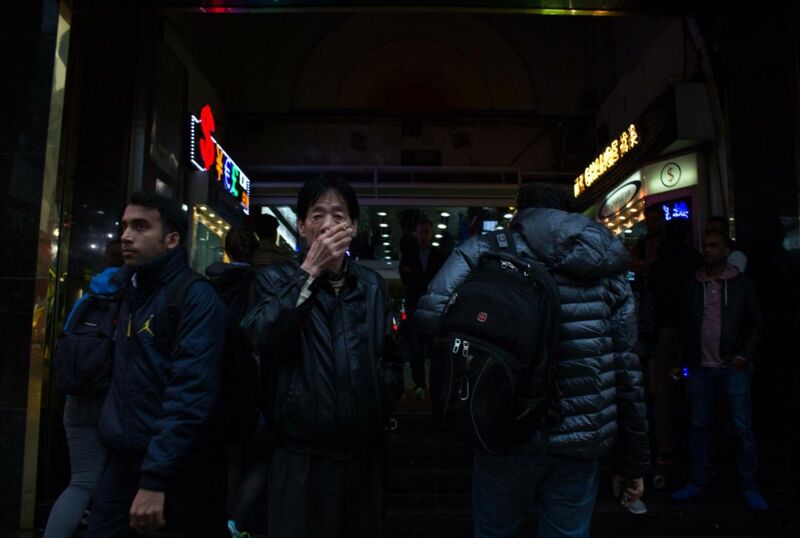 Chungking Mansions is also a centre for asylum seekers from around the world. There’s a Christian charity and even a Christian ministry in one of the blocks, providing advice and hot meals to those in need. On the left: ‘Papa’ is what this Indian man calls his Indonesian friend from a neighbouring shop. On the right: Nepalese women dressed in traditional clothing on their way to family celebrations, in front of a popular Nepalese bar. Photo: Mariusz Bogacki. Ethnic and religious tensions exist, but so does religious pluralism and multiculturalism. Work ethics and social norms have to be established according to these ungoverned social concepts. 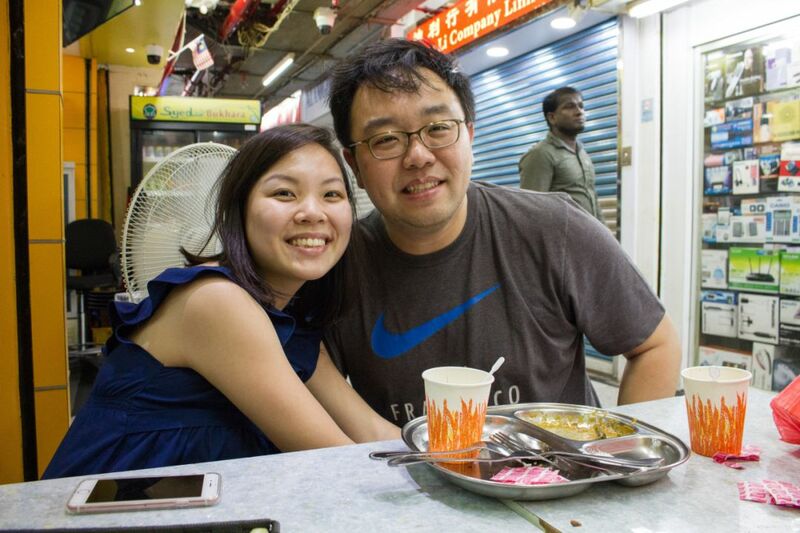 This Singaporean couple lives in Hong Kong and comes to Chungking Mansions regularly to enjoy some of their favourite Malaysian cuisine. Photo: Mariusz Bogacki. 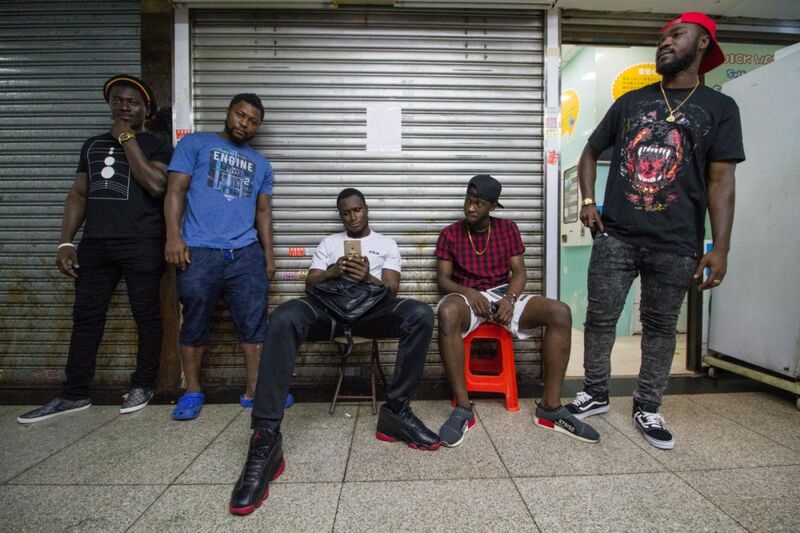 Ghanaian and Guinean men in front of a shop. Photo: Mariusz Bogacki. The spot serves as a local hang-out for people interested in Hip-Hop culture, not only from African countries. The Hip Hop themed garments and accessories are increasingly enjoyed by south-Asian and Hong Kong men too. 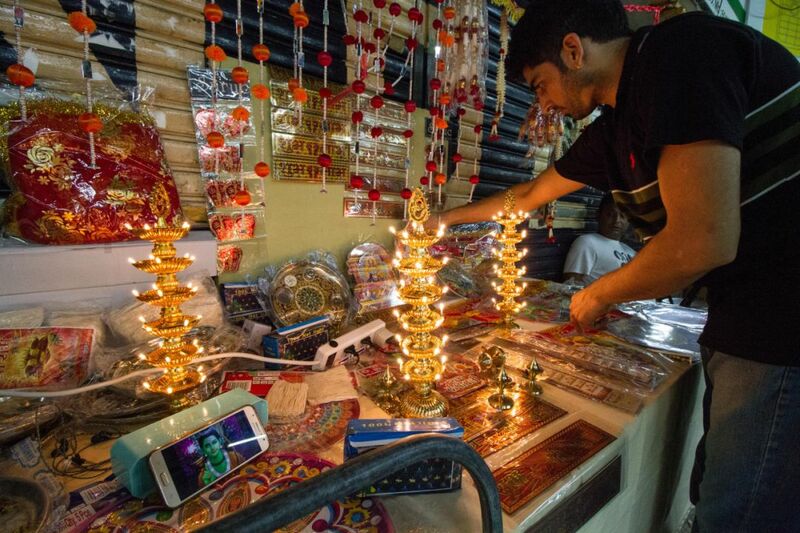 An Indian man prepares a stall selling Diwali related accessories. Photo: Mariusz Bogacki. The Holy Festival of Light is celebrated by the Hindu community in Chungking Mansions. Other religious festivals, such as Ramadan, are observed by inhabitants of the building. 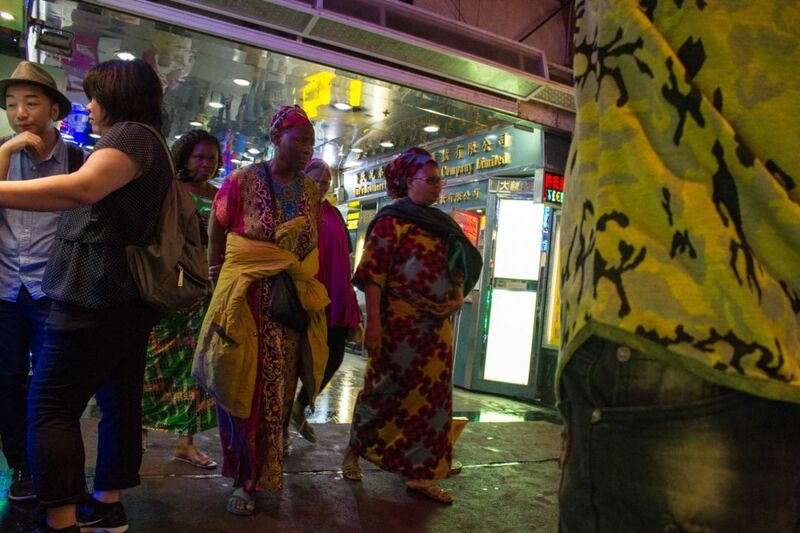 Traditionally dressed African women on their way out of Chungking Mansions. Photo: Mariusz Bogacki. 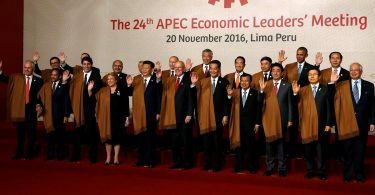 Cultural and ethnic diversity exceeds anything witnessed elsewhere in Hong Kong or the rest of Asia. 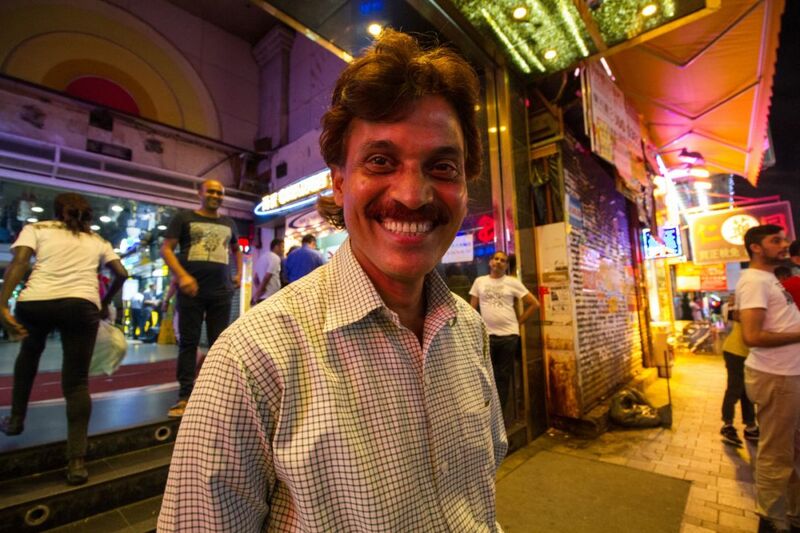 An Indian man in front of the main entrance to Chungking Mansions.Photo: Mariusz Bogacki. The infamous street touts operating on Nathan Road sometimes intimidate or even frighten people not accustomed to Chungking Mansions. In reality, these men support whole families in their home countries and if you give them a chance, they are always ready to help and give advice regarding the building and surrounding area. 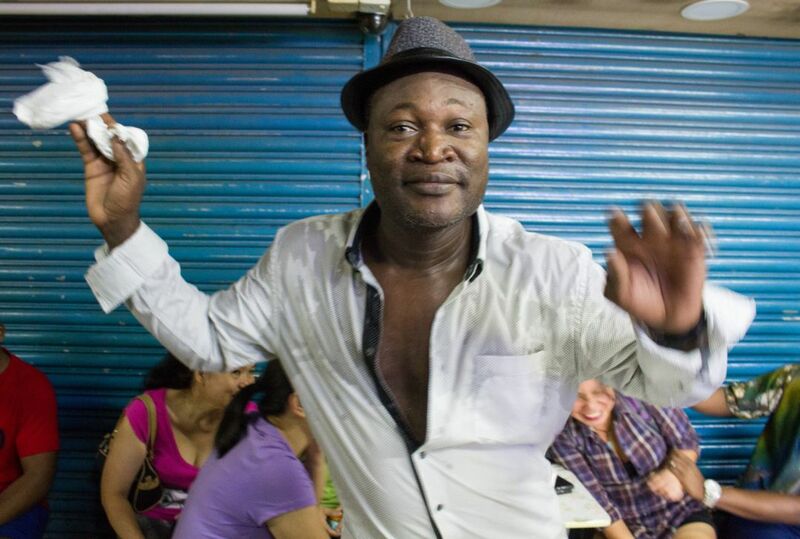 A Ghanaian man dancing in front of Filipino ladies. Photo: Mariusz Bogacki. 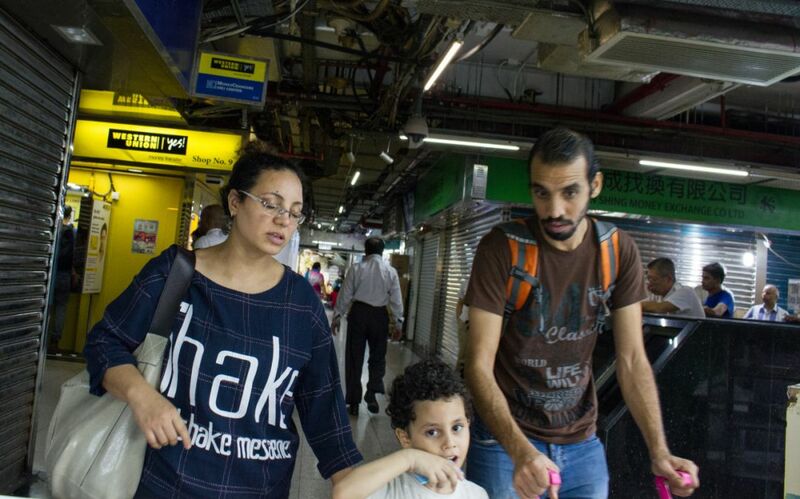 On their weekend days off many people from south-east-Asian and African communities come to Chungking Mansions for shopping, for the privacy of their own room or even to party. A Chinese man taking rubbish out of a lift to the Block A. Photo: Mariusz Bogacki. The building’s administration, security guards and cleaning staff are almost all Chinese. Co-operation is the key to peaceful existence. Over the last two decades all inhabitants of the Mansions have made an effort to improve the cleaning and safety standards. A Chinese woman walks through the main entrance gate (partially closed at night) illuminated by the lights of an emergency vehicle. Photo: Mariusz Bogacki. Occasional problems requiring police and emergency departments’ attention still haunt Chungking Mansions from time to time. 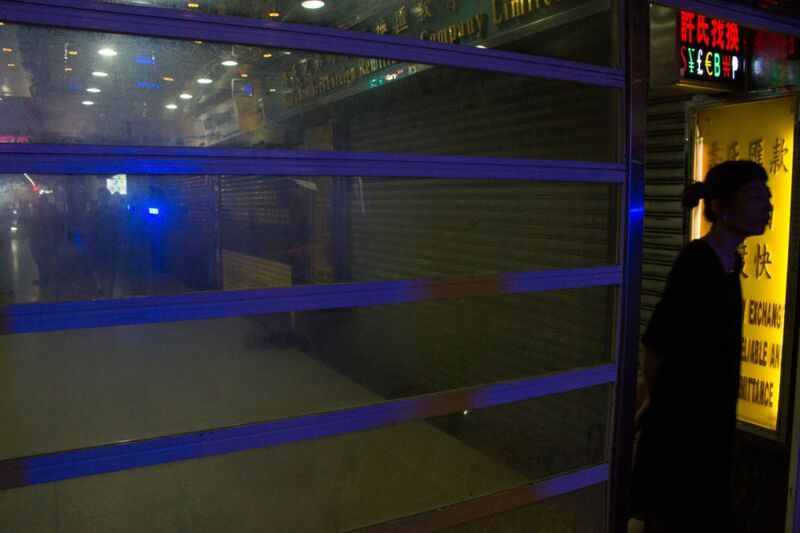 But, the building is probably little different to Wan Chai or Lan Kwai Fong in terms of safety.